I keep thinking about the day I learned of Grace’s diagnosis. I’m not really sure how I have time to do this, given the blur of busyness in which I currently exist. But amid the noise and movement and ideas and emails and meetings and phone calls and the thump thump of feet running and heart beating – there will suddenly be a moment of mental stillness and I’ll be back in that other room, on the phone, hearing the doctor’s words. It’s odd that I managed until now to compartmentalise this moment. Frankly, it’s amazing that I could ever put it away. Because when it comes back to me as it has been doing, it is still – years on – powerful. I see it and feel it and am undone by it all over again. I am again the woman on the tube blinking away sudden tears while everyone pretends not to notice. The reason I am remembering is a positive one. It is because of where I am now and where I am now is a moment that is on the edge of being extraordinary. Finding out that my daughter had autism was not the end of the world. It was not a great tragedy. Finding out that no-one really understood what that meant, or understood how she felt, or appreciated or welcomed her as a person who lived differently – that, that was the thing that broke my heart. Grace put my heart back together for me, of course. She just kept going and so, so did I, because she showed me how. Together we’ve created a space for her that allows her to be herself and to enjoy being herself. It’s a space we have continually to fight for, a space we have to keep pressing open when it threatens to squeeze shut. Some days we feel like Princess Leia and Han Solo in the rubbish compactor. 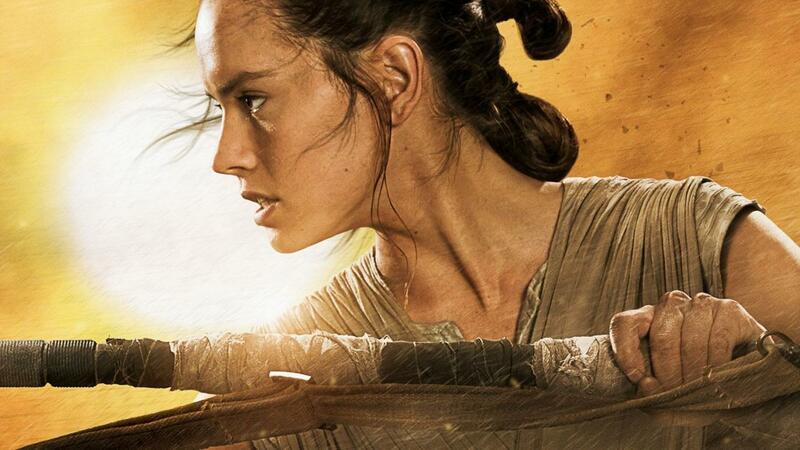 But other days I watch her and she looks like wonderful Rey, forging ahead bravely to her own destiny. Learning how to see and understand my daughter has been the most important lesson of my life. It has taught me about diversity, and also how little I still understand about diversity. It has taught me to ask uncomfortable questions. It has taught me that making other people feel uncomfortable will frequently prompt reactions that in turn make me ill at ease. But it has also taught me that if you want to see diversity, you have to get out there and be it. If you want a system that appreciates and embraces diversity, you have to get out there and build it. If you don’t make the changes you want to see, you can’t expect things to change. 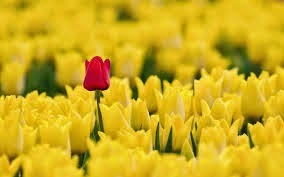 But – and oh, this is a wonderful ‘but’ - if you do make those changes, then wonderful things can happen. After Grace’s diagnosis I campaigned to change attitudes with a quiet understanding that at most I was only likely to achieve small changes, mostly in the immediate space around me. For a while that was ok. But now I want to make bigger changes. The last few months of leading the Women’s Equality Party has shown me that bigger changes are possible, if you’re brave enough to reach for them. I was one of the first founding members of the Women’s Equality Party because I feel passionately that diversity must be at the very core of everything we do and I want to create a space – and a movement – for everyone who feels the same way. Now I want to change more than the most immediate space around me. I want to change London. And I want to do it by standing for Mayor of London, as the Women’s Equality Party’s nominated candidate. Diversity is the motor that makes any city flourish. Let’s make London a city where people like Grace, and millions of others who are totally unlike her and unlike each other, can come together and walk side by side in common understanding and endeavour. Let’s be the change we want to see. Come with me. One of my first jobs was as a financial journalist. I wrote about the stock market and why the shares listed on it rose and fell. Every morning I called traders and analysts, asking them what might impact trading that day. I wrote down their answers, constructed a story, and filed it – usually the first of several daily reports. I spent the first six weeks with no idea what I was writing about. It wasn’t just that I didn’t really understand this world, but that every question I asked seemed to bring an answer I understood even less. I became very good at writing in code. There’s a certain vocabulary that goes with financial journalism, and I learned it fast. So some of it was a little … opaque. But that was fine. Nobody guessed. But I was embarrassed. And I hated feeling that there was a lot more going on than I knew. So I asked “why?” again. And we started to really talk. My reports got a lot more interesting. I discovered more news, made more contacts. I kept asking why, and before long it became a habit. ‘Why’ is never an entirely easy question to ask. It can irritate people. It can put people on the spot. It can draw hostile responses from folk, who prefer to paint the questioner as a fool. As a journalist, I got used to that. Irritating people is an occupational hazard when your work involves asking ‘why’. As a voter, however, I am fed up with it. As a voter, it seems to me that I have every right to ask ‘why’ and expect a non-irritated answer. But every time I ask ‘why’ I feel as though I am interrupting a conversation the outcome of which has long been decided without me. Why have the issues that matter to me mostly been relegated to a couple of pages at the back of each party’s manifesto? Why do the main political parties treat me as though I am a member of a special interest group instead of someone who represents half the population? I came to the conclusion, in my twenties, that the financial system was just a machine and that however people wrung their hands and bemoaned its impersonality it would just keep crunching away, producing and digesting debt, shares and currencies like so many strings of meaningless numbers, unfazed by any human intervention. Now I think that’s actually a better description of the current political system. And I don’t know about you, but I don’t want to just be something that gets digested every four or five years. So I’ve decided to change the political system. It’s not just me, of course. There are a whole lot of us. We are a grassroots movement, in fact, in towns and cities around Scotland, England and Wales. We’re called the Women’s Equality Party, and we’re on a fantastic political adventure with a serious goal: We’re going to put equality for everyone back on the agenda and shine a spotlight on what needs to be fixed - fast. We’re working with everyone in our branches to write practical policies for real change. We will unveil those policies in the autumn and then campaign hard to bring them about. Come spring we will field candidates against the other political parties and show that we are a real electoral force to be reckoned with. We won’t have policies on other issues. We are going to concentrate, laser-like, on all of the above in order to make them happen. Our candidates, who will be required to sign up to those objectives, will not be bound by a party line on anything else. So in addition to shouting about our objectives they will be able to give voice to their own opinions on other matters – bringing a new richness and diversity to politics as more ordinary people make their voices heard. This post may look like a very different one to the kind of thing I generally write. But it’s not. Not really. Because the work I’ve been doing since my daughter was diagnosed with autism five years ago is what’s brought me to the place I find myself now. You don’t have to put up with what’s not working, you see. You don’t have to subside if you ask why and the response that comes is not satisfactory. You don’t have to put up with indifference, and a refusal to make room for new voices. When change happens, it happens from the outside. So all of you who feel like you’re on the outside – come with me. It’ll be fun, I promise. The Women’s Equality Party is a new non-partisan force in British politics uniting people of diverse ages, backgrounds, ethnicities, beliefs and experiences in the shared determination to see women enjoy the same rights and opportunities as men so that all can flourish. To find out more about us, click here. That elephant in the room? It has a right to be here too. Upstairs the teenagers are still in bed. Downstairs, my youngest child - tangle-haired and barefoot - draws at the kitchen table. Outside, the birds are singing and bouncing on the blossom-fat branches of the apple tree. Inside, the rolling burble of the boiling kettle rises. I spoon coffee from a jar, and close my eyes and breathe. And smile. The half-term holiday is here. Thank God. Grace has got through another term. Last week we went to parents' evening. Teacher after teacher smiled to see my beautiful girl - who has grown now to stand shoulder to shoulder with me - and teacher after teacher shook my hand enthusiastically. We went home beaming. Grace's report card had 'excellent' on every line. She is exhausted. Pale with the strain. She will no doubt sleep until lunchtime if I let her. But she has done it. She has overcome real hurdles. There has been hurt and difficulty, again. Young people are often not kind. Adolescence is not kind. A learning environment tailored to other people's strengths is not kind. But she has done it. I make breakfast and chat with Betty. When she has finished, and slipped off her chair to go and potter upstairs, I pick up my phone and start to flip through the newspapers. One of the first articles I read begins: "Keeping children with special educational needs in mainstream schooling can deprive them of expert care - and their classmates of a decent education." Don't read it, I think. Don't read it. You don't need to read it. The unnamed author is a teacher. The teacher writes that our country's insistence on 'inclusion' in schools means that we are turning a blind eye to the elephant in the room, which is (I am summarising) that we're not actually including children with special educational needs because their needs mean that they are not undergoing the same experience as everyone else on the premises. Furthermore, the 'normal' children on the premises are at best disadvantaged and at worst scarred by having to share their education thus. I feel like I've been punched in the stomach. But then I get to the comments at the end of the article. There is a lot of praise for it. "How many parents of SEN children are actually deluded or just plain ignorant of the pros and cons of 'inclusion' and insist on a right which may suit their own prejudices rather than the wellbeing of their child?" is one comment. Another asks: "Why are we investing in a full time staff member to control the behaviour of a child who is basically uneducatable?" That prompts helpful advice from another quarter: "Being able to remove the troublemakers and have them educated in specialist units better suited to them would make a vast difference." I can't bear it, and I write an online contribution saying how sad I am to see parents and teachers at loggerheads again instead of supporting each other in a system that puts both sides under intolerable strain. I get an answer back explaining the teachers are fine, it's the parents that are "ignorant, self-entitled and pushy." I sit back in my chair and exhale, a bit shakily. I wonder what to do. I should walk away. Put down my phone and go and shower and move the day along from this. But walking away isn't an option for Grace. She will attract this crap her whole life. So I can't walk away either. The problem is that inclusivity requires three things: money, training and tolerance. Right now the education system is thin on all of those. I sympathise with teachers who are struggling to teach classes of 30 children or more with limited resources and little appreciation. I sympathise with parents whose children feel uncomfortable around or frustrated by the child in their class who is not like the rest of them. But what, exactly, is it that Grace and I are supposed to do? Are we supposed to just shuffle off? Do any of these people think we enjoy feeling forced upon the system? Do they think we're just brazening it out for the hell of it? That I greet Grace at the door every night with a high-five and a "you go girl, how many people did you piss off today?" I'm not ignorant, or self-entitled. (I'll admit to pushy, but needs must.) I had to learn a lot about autism, fast, when Grace was diagnosed. I had to give up all expectations of the life to which I had thought myself entitled, and learn instead to go what I'd been given. I work hard with my daughter to teach her to cope in a world that frequently overwhelms her. I work hard to help her to control her anxiety, try to make eye contact, think of appropriate conversational responses. I have taught her about considering other people's feelings. She works harder than I do. She tries and tries and tries. The onus seems permanently to be on her to fit in with the rest of the world, while the cruelty and impatience of the other children (and some of the teachers) is accepted as just the way things are. Talk to most parents of a child with SEN struggling in a mainstream school and they will tell you that too often the teachers are at best overworked and at worst untrained yet convinced they know better, while the parents are not listened to and their child blamed for class distractions and turned upon by their peers. Thousands of parents choose to home school rather than go through all that. Others manage to get their child into a specialist unit. But most of us struggle on, because we have to pay the mortgage, so opting out of the world of work is not an option any more than finding a different school when getting a statement of educational needs is like panning for gold and the specialist units are few and full anyway. People may write that mainstream education is not the best option for my daughter. But what if it's the only option there is? Inclusivity isn't easy. We all talk about it as though it is, but sometimes it really isn't. It can be hard to welcome all, and embrace difference. That's ok. We just have to keep doing it until it doesn't feel uncomfortable. Because teaching children to pass exams is not the only reason for them to go to school. Children also go to school to learn about the world. And the world is diverse. Society flourishes when it embraces the diverse. Society is fairer when it listens to the people within it who think differently. So let's think differently, and flourish. 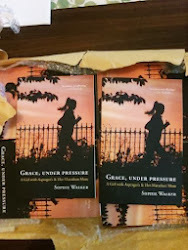 My book Grace Under Pressure: Going the Distance as an Asperger's Mum, is published by Piatkus and available here. In November I will be running the New York Marathon to raise funds for The National Autistic Society, which campaigns for better understanding and support for people with autism and their families. These days there are lots of voices calling for charitable funding, and many people running, cycling and swimming to show their dedication to a cause. Grace and I would be most grateful if you would pick us out among that worthy crowd and show us your support here. World Autism Awareness Day is coming around again. Why are you still not listening? When I sat down to write this year's blog for World Autism Awareness Day, the first thing I did was read last year's, which was about asking the teaching community for better understanding and support. I could write the same bloody article again today, word for word, so little has changed in the past year. I won't do that, because I want people to keep reading this year's post. But from now on I'm not going to be diplomatic any more. I've spent years trying to understand the point of view of people who refuse to consider mine. I've listened many times to the lecture on how these things take time. And I've discussed at great length and on multiple occasions my own personal responsibilities, and the efforts that my daughter needs to make in order to fit in. But really, now, I've had enough. Enough of asking for the same things, over and over again. Enough of being told it's my fault, or her fault, or anyone's fault but theirs. 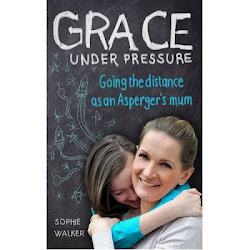 Talking to these people about Grace and other people with autism, and the support we would really like to have, please, is like speaking into a vacuum and watching my words disappear with a silent 'pop' in an airless, unfriendly atmosphere. It's like yelling for hours into a long dark well without ever hearing the responding echo bounce back to me from the bottom of it. It's driving me crazy. I don't want to do it any more. So please, you lot, will you just, please LISTEN. If I was asking for special consideration I might be able to keep my temper a little better. If I, and all those other parents engaged in these eye-wateringly tedious negotiations, were in fact asking for something to which we knew we had no right, we could maybe just about cope with the daily duel. But we're not, you see. Our children have the same right to an education as everyone else's. Why do our children have this right? Because, um, it's the law. Our children are ASSETS ( - are you listening yet?) Our society advances when we embrace the non-conformists and the free thinkers and the eccentrics. Our children have a lot to give. They can learn. Help them to find a way to do this that does not insist they first squeeze themselves to fit a template of 'normal' that you've drawn up to your own specifications and which can only result in their failure. Stop punishing our children if they become too anxious to cope with your demands. Giving an autistic child detention is not going to magically make them understand how important it is to do what you say. It's only going to make them even more anxious, and likely to get it wrong, again. Stop telling us our children are 'a handful' or 'difficult' or 'playing up'. And - especially for the attendance officers this one - stop sending us letters about our children's school attendance. Do you seriously think this is news to us? Don't you think we're killing ourselves every day already to get them there? If you want to know what's going on, talk to your colleagues - yes those ones on the other side of the staff room, say perhaps the SENCo, or the head of year, or the form teacher, or the teaching assistant - before you send us a postal missive demanding that we explain ourselves to you. We've already done that, to every other bloody member of staff. I know none of this is terribly polite. I know that I'll get told off for being unhelpful. So fine, tell me off. I'm used to it, and so is my daughter. It makes us feel crappy, but we're used to that too. But this time, when you've finished telling us off, try thinking about what we're asking for. And consider this too: wouldn't you rather just be getting on with your job instead of arguing with us? We know you're all overworked and underpaid. We know you don't want to spend all this extra time and effort on paperwork and phone calls and this-that-and-the-other. We know you resent playing social worker when you're actually trained to be a teacher. So fine, teach. It's what you're good at, right? We'll stick to what we're really, really good at, which is parenting our autistic children. Then you can stick to what you're good at, which is teaching ALL of the children in front of you. A tip: our job involves tearing up the rule book and adapting our job to best fit the needs of the children we have. It's an approach you might like to consider in yours. World Autism Awareness Week starts on Friday, November 27 and runs till Thursday, April 2, which is World Autism Awareness Day, 2015. For more information on ways you can participate, click here. 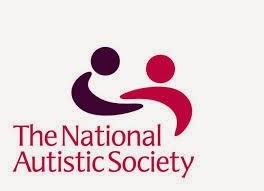 I will be running the New York Marathon in November 2015 in support of my daughter and Britain's National Autistic Society, which provides information, support and pioneering services for people with autism, and campaigns for a better world for them. If you would like to cheer me on, please click here. Can you swim a marathon? I used to be able to complete a mile in 9 and a bit minutes on a good day. For the last year it has taken me about 40 minutes, and 70 lengths of my local swimming pool. Most of that time, I've felt as though I was competing in the wrong event. Managing to get along, sure, and even do it quite well a lot of the time. But nonetheless I've always still felt as though I was not really doing the right thing. Sometimes I watch my daughter and I wonder if she feels the same way. She's a fabulous teenager these days. While many things are much better than they were when I used to write on here about her primary school years, some other things are not better at all. Grace has some wonderful days but she still has very tough ones, when her experience of the world seems to be light years away from everyone else's, and the gap between her understanding and everyone else's causes her pain. On those days I feel that whatever I'm doing for her is not enough. On those days I ask myself how else I can help. It doesn't seem fair that she goes out to a daily challenge and I don't. It doesn't seem fair. Lately, I have wondered whether the injury that has been kept me in the pool and away from marathon training and fundraising for so long might need to be tested again. As I have ploughed up and down the blue-lined box of the swimming pool, constrained by the bobbing orange ropes and the other swimmers in front of me and behind me, I have chafed more and more at the feeling of being hemmed in and thought back to the glorious ten- and fifteen-milers of last spring before my knee popped and I limped over the London Marathon finish line an hour later than I wanted to, and all the running had to stop for a while. When I hug my daughter and kiss her upset away, I sometimes smell the chlorine on myself and it makes me think again: I am not doing enough. I need to get out of the pool and back into the real world of tough training. Grace's days are hard. Mine, though sometimes I find them so, are really not. So I've taken the plunge. To get out of the pool, that is. 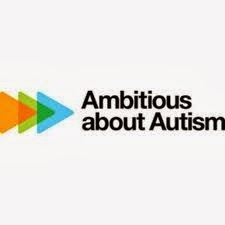 In November this year I'm going to take part in the New York Marathon for Britain's National Autistic Society (NAS), to raise awareness of autism and support my daughter and many more thousands of people like her, and, I hope, to attract many generous donations so that the NAS can continue to provide information and support and pioneering services. So that together we can campaign for a better world for people with autism. I'm a bit nervous about this, I confess. I don't know if my injury is healed or just keeping quiet until I really test it. But what's the worst that can happen? Living with autism must, I think, feel a bit like trying to swim a marathon. Or maybe cycle a swim-athon. Or run a bike challenge. All I have to do is complete 26.1 miles with a slightly busted knee. It's really not much, by comparison. If you would like to support Grace and me please click here. I'll be posting more regularly on this blog as I get back into training. Thank you for reading, and for helping us both to keep putting one foot in front of the other. There's a small woman hopping up and down on my right shoulder. She looks a bit like me, but for some reason she's speaking with a gorblimey accent. She's leaning forward with an agitated air and saying into my ear: "Don't. 'E's not worth it. Walk away!" I try to listen to her. I take a deep breath to calm myself. But it doesn't work. So I turn, and stride along the aisle, past eggs and dried fruit, in the direction taken by a young man a couple of moments ago. At the top I look left, only to see him disappear behind swinging doors into a staff-only area. I exhale, and square my shoulders. "'E's not worth it!" hisses the mini-me again. But I'm walking over to the door, beside which a senior-looking staff member is ticking things off a list. She looks up. Beside us, an industrial-sized rotisserie splats and fizzes, turning rows of browning chickens. It's been a good weekend, so far. I've seen friends and relaxed and felt enthusiastic about things again. In slightly giddy mood I went to Waitrose and piled my trolley full of rich, tasty food, planning to cook a big meal for my family. I thought: I am nearly well, my loved ones are all well - Grace is calm, happy and productive - January is nearly over. Tick, tick, tick, tick. Then I turned a corner and two young people, dressed in the supermarket's uniform, came towards me from the opposite direction. The young man - jaunty walk, shoulders back - was just about to arrive at the punchline of a story that was already making his female colleague giggle. As he walked past I caught the end of his comment: ".. like a special needs one, you know? So you have to look after 'em!" His colleague smothered laughter. They walked on. But I was stuck. A victim of a walk-by shooting in the bakery aisle. I felt like I'd been splattered against the shelves of finest organic flour. Someone was laughing at my daughter again. I felt sick and sweaty. I felt like I was overreacting. I felt like I wanted to run after that young man and shake him til his teeth rattled. I looked at all the food in my trolley. I didn't want to eat any of it. Up popped the worried little woman on my shoulder - the one who fears being a spoilsport, a humourless, professional complainer. I batted her away. One by one, I thought. I have to keep tackling them one by one, until there are fewer people who think it's ok to make Grace an object of fun. Thus, when the senior-looking staff member looks up and says "Yes?" - I say: "I've just overheard a member of your staff make a joke about people with special needs that I found offensive. Do you think I could speak to him?" The woman blanches, and says very quickly that she will go and get the duty manager. "It's just - " I begin, - "I have a daughter - "
She stops me and says: "Me too. I'll be right back." I wait for five minutes. I still feel sick. Then two young men walk up to me. One is the duty manager, who looks very uncomfortable. One is the young man who spoke. His face is a perfect blank. He looks at me, and fixes a bland smile, and clasps his hands together. "I would like to apologise for my comments," he tells me. "They were taken out of context." Wait, what? Out of context? "That doesn't sound like an apology," I retort. "Whatever is going on in your head you should not be voicing it here. Do you have any idea how upsetting it is to be here and shopping and overhear someone making a joke about that?" Urgh. I am so very un-eloquent. He smiles blandly at me again, and presses his hands closer together. His expression doesn't change. "I would like to apologise for my comments," he says again. Go on then, I think. "I have a daughter with autism," I tell him. "And I'm sure I'm not the only person in your shop right now who is living with someone who has special needs. Do you have any idea what my home life is like?" Double-urgh. Why one earth did I say that? Why can I not explain such an uncomplicated thought. Use your words, I tell myself, as though I am four. The duty manager is still silent. The other man smiles blandly at me again. "I would like to apologise for my comments." "Ok then," I say tiredly. "Thank you. Please don't do it again." I walk away and I don't look back. I think: I don't think I did that very well. I think: That was embarrassing. Then I think of Grace, and I think how glad I was that she wasn't with me, to overhear someone walk past and mock her so blithely. One by one. It doesn't matter if it doesn't always come out right. It just has to keep being said. Until maybe, at some point, we don't need to say it at all. Postscript: On Monday Jan. 26 Waitrose contacted me at home after seeing this post, widely circulated on Twitter. A spokeswoman said: "These kind of comments are not expected and not allowed. We will be contacting our learning and development department to comment that this has been happening, so it can be incorporated into future programmes, and a team sent out to reiterate our policies." I can’t remember the last time I wrote about being depressed. But at the moment there’s a lot that I can’t remember. I have spent hours, lately, walking around my house looking for things I have forgotten or lost. Normally, I don’t lose things. When I do, it makes me very anxious. It also tends to happen when I’m not well. Things that I have lost lately include keys, books, phones, letters, various items of food. Information I have forgotten: how to drive to my husband’s office, whether I washed my hair this morning, what the name of this blog was. Amid the fog, however, there are a small number of things I have not forgotten. Among them are all the words to The Deadwood Stage. In the evenings I sit down in front of the television. My husband builds me huge leaping fires of coal and wood and I scorch my skin trying to sit close enough to get warm. My youngest daughter turns around and around on my lap like a little dog marking her bed before settling. Then the screen lights up, with a blast of golden trumpets and technicolour, and we stop fidgeting. Calamity Jane. It’s such a ridiculous film, so silly and out of date that I am smiling by the first minute and the first line of the first song - which is of course about The Deadwood Stage, careering into town in clouds of dust and flapping curtains, and bearing a bright-faced, curly-haired heroine. I love Calamity Jane. I love her for her name – patron saint of those of us who can’t remember anything and keep banging their heads and bruising their elbows in the process of looking – but I also love her because she’s only been on screen for three minutes now and she is literally – literally -- slapping her buckskin-clad thigh while rhyming ‘heading over the hills’ with ‘Injun arrows thicker than porcupine quills’. Encircled in my arms, five-year-old Betty gives a great shout of delight. For the next hour and a bit we watch Calamity Jane gallop like mad, shoot anything that moves and sling back "sasparilly". We watch her tell tall stories, make mistakes, fall in love with the wrong man, and match him up with the wrong woman. We watch her try to pretty herself up only to fall in a muddy creek and get laughed at. And we watch her come up smiling – and usually singing -- time after time. Yes, it’s terribly cheesy. But it’s also funny, mostly on purpose, and it’s a tonic to see this young woman clowning and capering and not caring what people think of her. When the film has finished and the fire has crumbled to embers and my daughter is asleep in my arms with her cheeks flushed, I think to myself that I must try to care less and laugh more. But Betty needs to go to school so I get up and get her ready and we leave the house. I have managed to find my keys, which is a good thing, but I am also struggling not to cry, which most definitely is a problem, particularly as we are still only at the garden gate. Then I hear something. Beside me, Betty is singing a faint tune. As I make out what it is I start to smile. I look over, and my daughter tilts her head back into the rain to see me from underneath the curve of her bee-embroidered umbrella. She reaches out her spare hand. “Whip crack-away!” she urges, grinning. "Whip crack-away, Mummy!"